Happy Monday, friends. So sorry about going a little silent last week. It was just one of those crazy busy weeks. 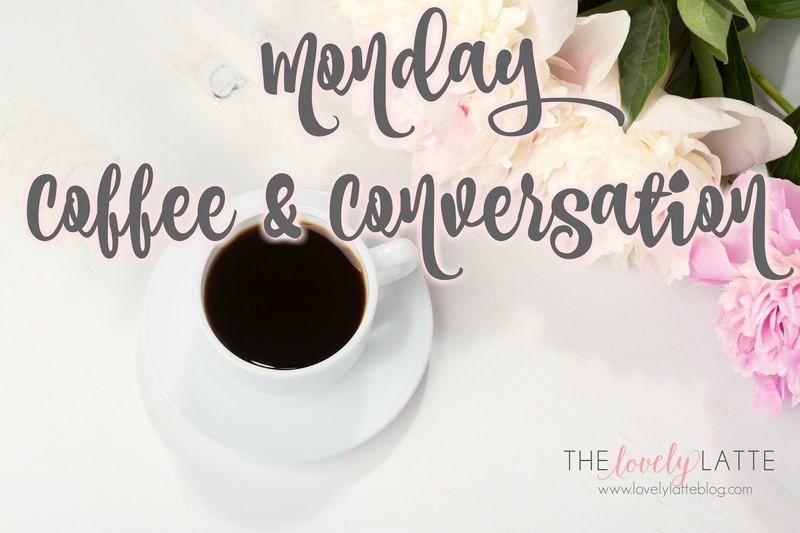 It was also one of those weeks that was super busy yet seemed to drag on and on and never end. I'm happy to support we all survived and made it to another week. Which is saying something since there are three adults, one baby, and two dogs who love to bark during nap times living in my house right now. 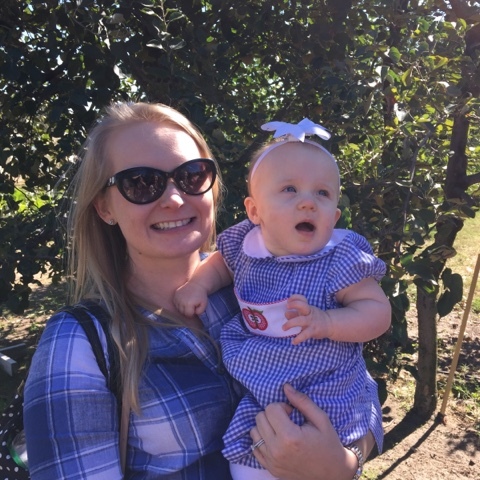 Last weekend I went to Windy Hill Cider Mill and Orchard with a few girlfriends and Madeline. It actually felt like fall so I wore leggings and a plaid tunic with boots and she wore her apple tab dress and tights. We even had to take a sweater for her. We enjoyed some adult cider, apple cider donuts (Madeline even had a bite) and a lot of girl time. It was awesome. Corey's birthday was Wednesday. We had a pretty low-key day. I got him the basketball hoop he has been wanting for over the garage and all its accessories and then his mom kept Madeline and we went out to dinner. 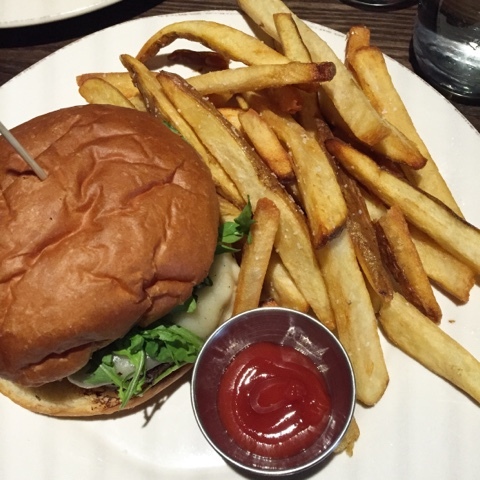 I enjoyed a major cheat meal and had the best happy hour burger in Charlotte. In our previous pre-baby life we used to run around the corner to Dogwood often for this $5 burger special. Then, the weather promptly returned to a million degrees. Well, mid-80's. 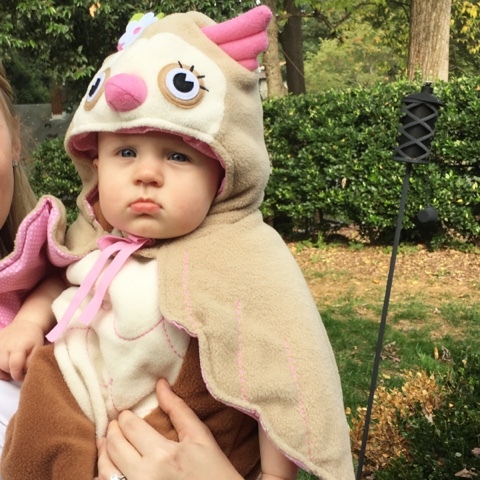 We went to a baby Halloween party yesterday (#youknowyoureoldwhen) and Madeline only wore her costume for 2 minutes to take a picture because it was hot. This was fun and super cute, though, and she's going to wear it again with the air conditioner cranked way up today. 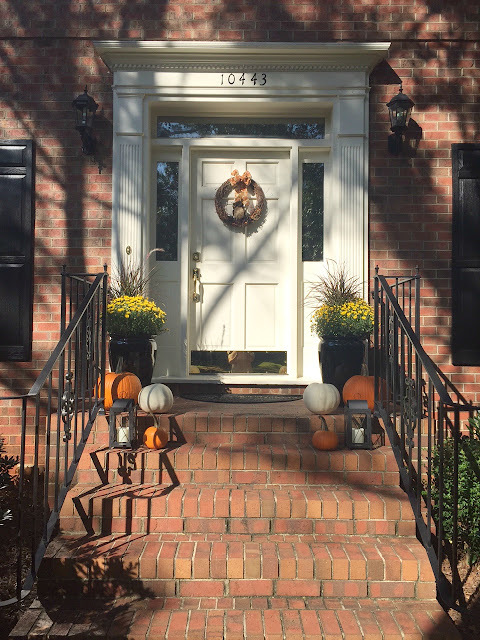 My neighborhood has so many families and kids so I am excited to see all the trick or treaters tonight. Our previous neighborhood was mostly young professionals so we would only get a couple. Corey is traveling this week and Madeline and I are going to help her Nonnie get settled into the new house later in the week and finish up a few projects here. Other than that, I don't have much else to report this Monday morning! Happy Halloween! Today is a special day in our household because it is my husband's birthday. This has been a very busy week and we're in the middle of a couple big things, but I still wanted to pause to give him a birthday shoutout on the blog because he is pretty awesome and this is his special day. He is my partner for life who works tirelessly to provide for me and Madeline. He has taken on the role of dad to our sweet girl so perfectly this year and that has been so fun to watch. 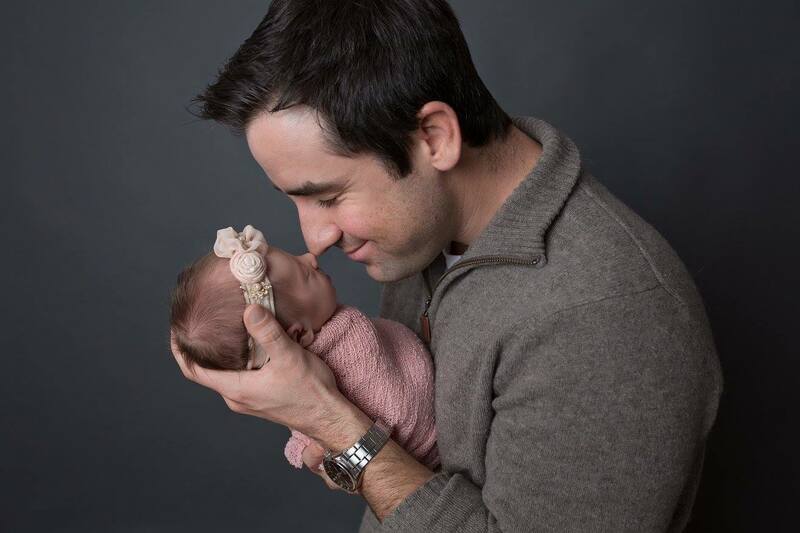 He supported me leaving my job and throwing my energy whole-heartedly into Madeline as well as turning some of my biggest passions into a side business. 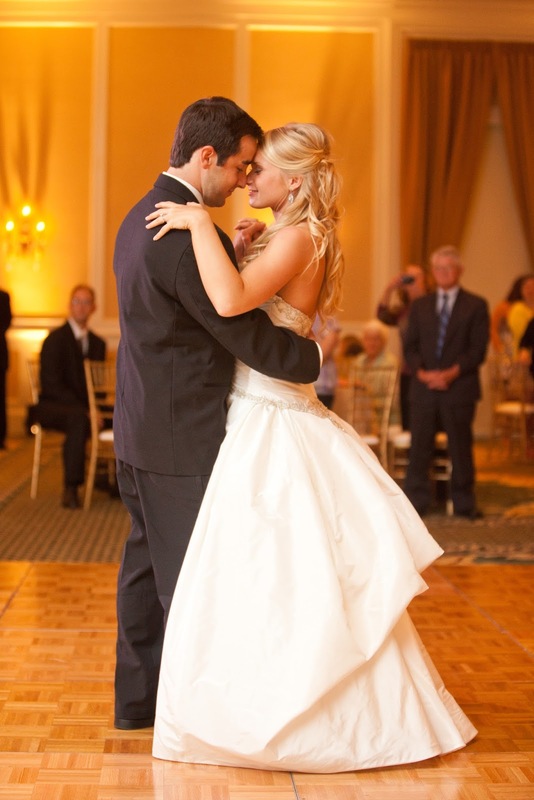 I'm so very grateful that he is mine and am excited to celebrate him all day long! One of the funnest things about having a daughter is choosing cute clothes for her to wear each season. I love adorable smocked outfits for special occasions but I try to dress her in things that are both cute and comfortable most days. I love soft dresses with tights, legging and tunics, and patterned rompers. Little girls are so much fun. Here are some of my favorite pieces for fall this year that are either already in her closet or that I currently have my eye on. Happy Friday, friends. This might have been the slowest week in a long time. It has just creeped along, but the weekend has finally arrived and it is jam packed. Madeline turned 8 months old on Monday. 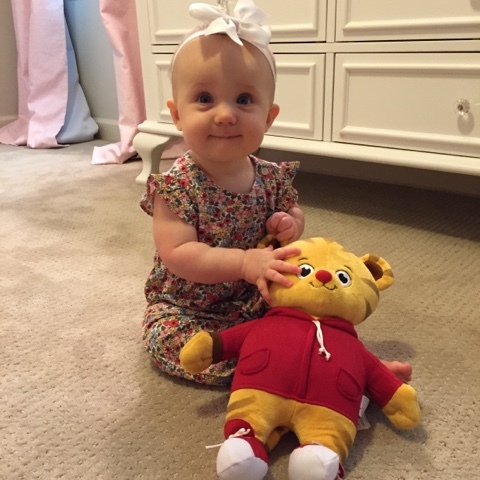 She is currently majorly in love with all things Daniel Tiger, especially this toy her Nonnie bought her. 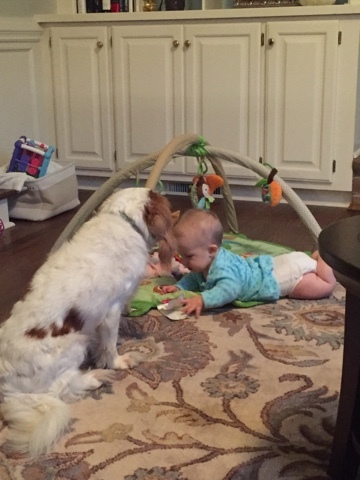 She has clearly grasped the concept of object permanence because he must go everywhere. It's pretty adorable. We took a little mountain day-trip this week. This is one of the most awesome things about working from home. You can also work from the car! 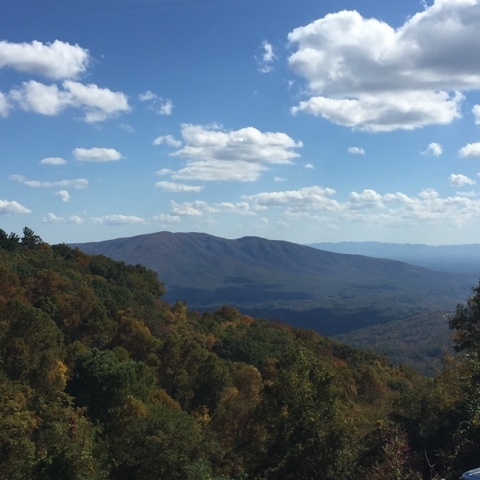 It was a beautiful fall day in the mountains and we were able to escape the 85 degree fall that is Charlotte currently. More to come on this little trip next week. 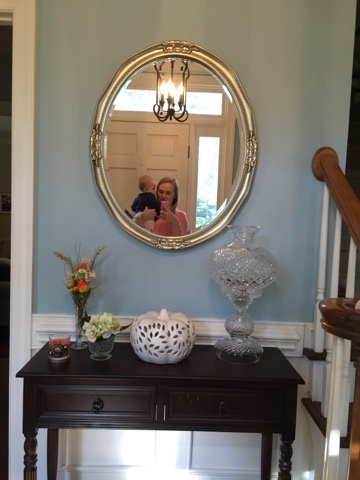 I finally made some serious progress in our foyer. I put everything together during Madeline's naptime yesterday and I am loving this addition to our home. So nice to open the front door and not just stare at a blank wall. 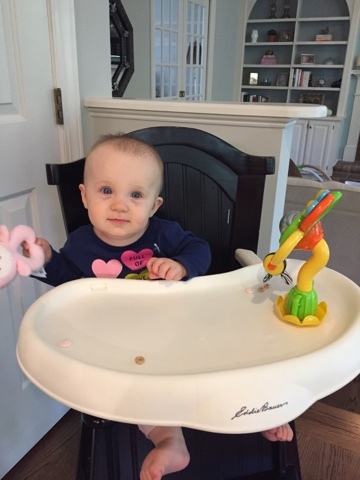 We finally moved Madeline to her high chair for meal times. She's been eating on her Bumbo with its tray for a couple months and I really loved that because I could hide it away in the laundry room when it wasn't time to eat. I finally accepted the baby gear is taking over whether I like it or not and moved her big girl chair inside from the garage. Last night she was especially exhausted for some reason...perhaps because it was the week that would never end?! So, we started bath and bedtime early and as soon as she finished eating and I burped her, she just snuggled right up and went to sleep in my arms. She doesn't really do this anymore so it was super sweet. I'm so grateful she's a good sleeper these days and can go to sleep on her own in the crib but this just made my heart melt. Time, slow down. When we moved at the beginning of the summer, we moved from a three bedroom home to a four bedroom home. 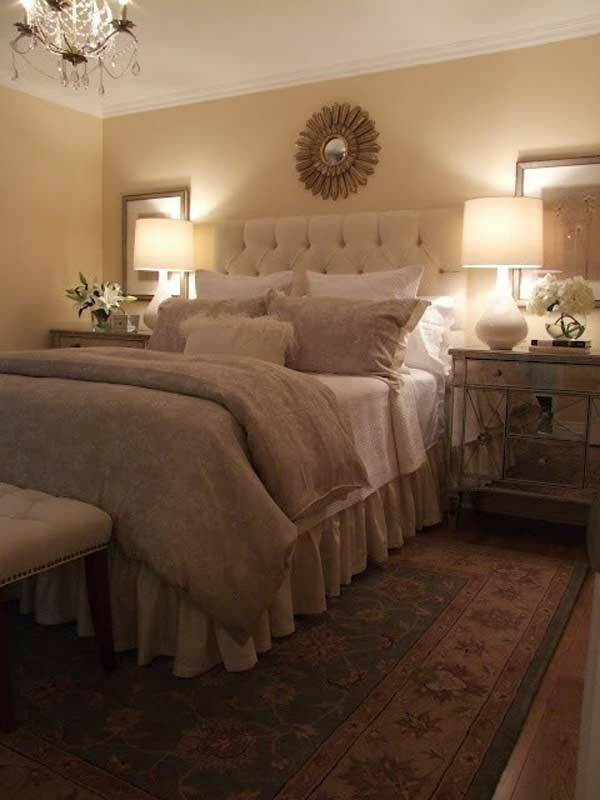 We have a guest room currently and it is set up almost exactly as it was in our previous home, except for the pretty patterned chair doesn't fit with the layout so it got bumped to our bedroom, which I'm not hating. I also had to replace those curtains since the new room has two sets of single windows instead of one double and added a couple more throw pillows. Annie Sloan chalk pain tutorial here. Our fourth bedroom has just sat empty for months now. It didn't seem that we should invest in furniture for it since we aren't sure what its permanent purpose will be. I hope we'll be fortunate enough to have a second child one day. I hate that the room is sitting empty with the door closed, though, because it gets such pretty light in the room. We do sometimes host more than one set of guests at a time when friends from college are in town or around the holidays so we decided we'd like to make it a temporary guest room for the time being. Corey's mom is in the process of moving to Charlotte and she has some extra furniture. My mom also had an extra headboard that was used in my grandmother's home so we are hoping to piece together a room with these pieces to give the space purpose without breaking the bank. This room certainly won't look like its out of a magazine but I am happy we'll have another comfortable space for guests. Here are a few of my favorite guest bedrooms. If you are not already drinking Shakeology to start your day, you are seriously missing out. 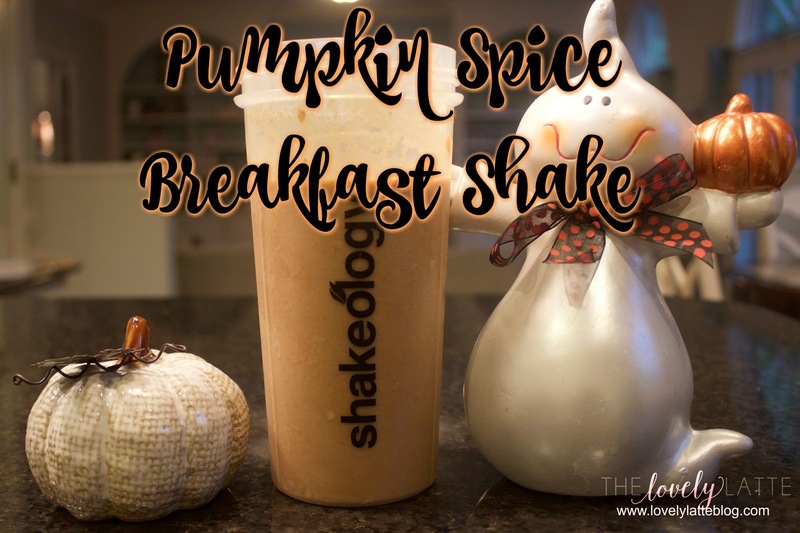 I have a couple favorite recipes I rotate but I decided to try a pumpkin spice version for the season using the Cafe Latte flavor. 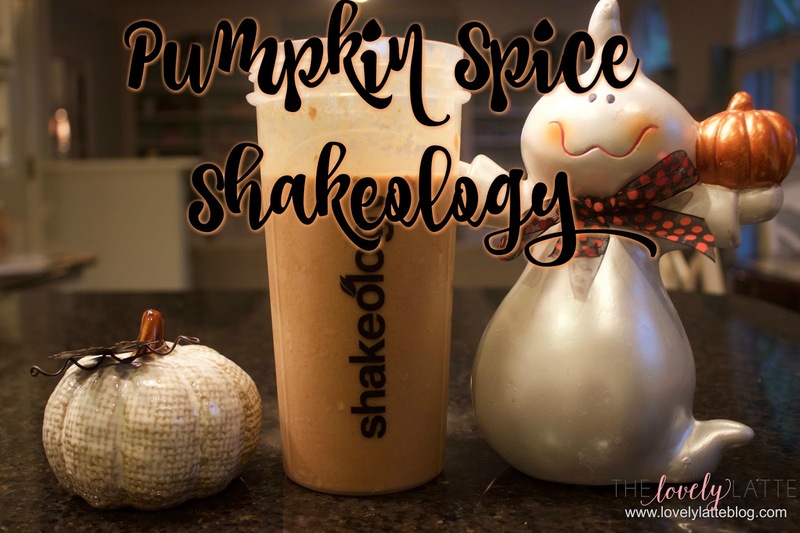 I am guilty of drinking way too many PSL's so my hopes were this shake would help curve my cravings for that indulgence and let me get my fix in a much healthier way. Blend in a shaker cup and enjoy! 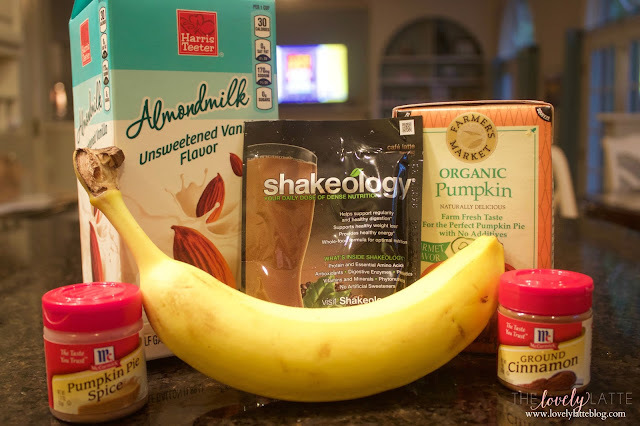 I use an immersion blender when I make my shake so I can blend it right in the Shakeology cup and curb any mess. 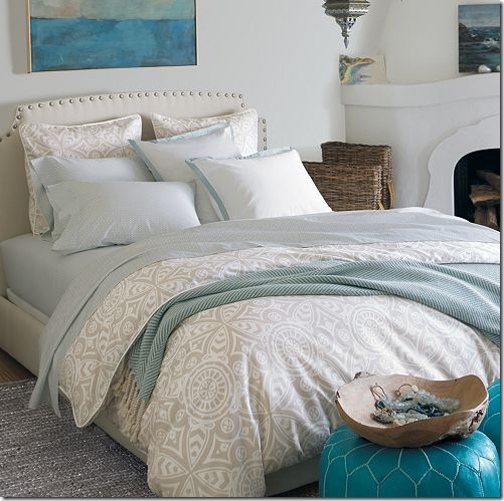 It makes clean up a breeze and I'm left feeling full and energized for a busy day ahead. I'll be sharing some of my other favorite shake recipes in my busy girl fitness challenge group and free clean eating group. If you would like more information on those, just send me an email. This was a pretty relaxing weekend for me but it still just flew by. Corey went to Clemson with some friends from college and I stayed home with Madeline. 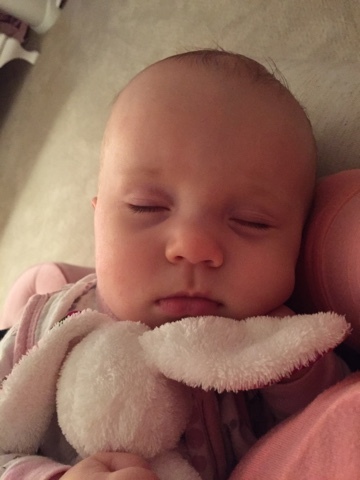 Now that she sleeps through the night, this made for a pretty relaxing couple of evenings since I was stuck at home from six o'clock on. I caught up on my favorite girl shows on the DVR and watched Gilmore Girls on Netflix with a couple big glasses of cabernet. I worked out twice a day each day and did a little at home mani in Smokin' Hot and hit up Home Goods twice. All in all it was a pretty good lazy weekend. My parents stopped by for a visit Saturday on their way to dinner and brought the christening dress my mom made and hand embroidered for me. Madeline's christening is just a few weeks away so it will be special for her to wear the dress also and one day pass it along to her own children. Madeline and Corey played in the backyard yesterday afternoon when he returned home from Clemson and I had to snap this picture. She is eight months old today and it totally blows my mind what a little person she is now. She is into everything and so observant. It is a really fun stage. We hosted some friends for dinner last night before they headed to the airport to fly home after the game. Everyone needed a little detox after the weekend so I made Skinnytaste's chicken, green bean, and bacon skillet and Giada's lemony arugula salad that April posted about last week. Both were delicious and it made for a healthy meal. I totally recommend adding them to your meal plan for this week. 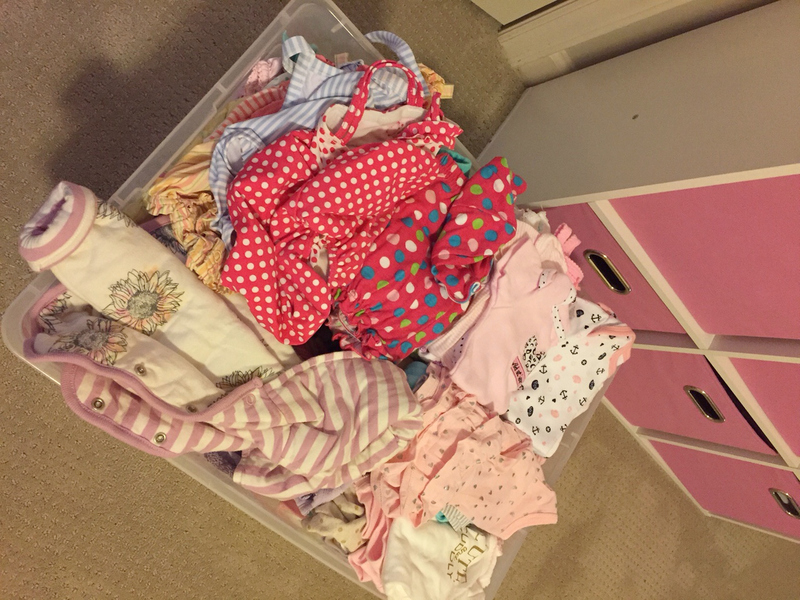 I was a little productive and packed up all the newborn and warm weather clothes that Madeline has grown out of. It made me super sad. I'm sure that now that they're safely packed away, our future baby number two will be a boy but I am positive that if I got rid of all the cuteness, we'd have another girl one day. We have a low-key week planned this week and then next Monday Corey's mom will arrive from Florida. She'll be staying with us for about a week while she gets settled into her new home. 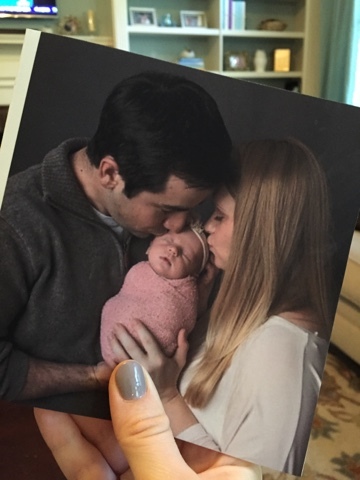 We are excited to have her close by and Madeline is so lucky that all her grandparents will be near. Happy Friday! We have had a busy week at our house this week so it has just flown by, leaving me wondering how it is Friday already? I made Pumpkin Pie dip for Bunco on Monday and then our sorority's Founder's Day celebration last night. 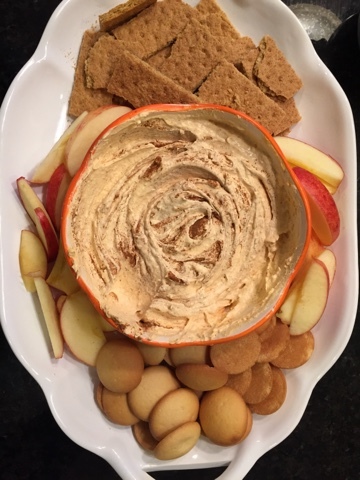 This is my favorite fall treat and it always a crowd pleaser. If you don't already know the recipe from Pinterest it is simply 1 16 oz container Lite Cool Whip, 1 15oz can pure pumpkin, 1 5 oz packet of instant vanilla pudding, a sprinkle of cinnamon, and a sprinkle of pumpkin pie spice. Just mix everything together in a cute festive bowl and enjoy! I've done a little shopping for some beauty favorites this week. New lipstick, foundation, mascara, hairdryer. Doesn't it always seem that you run out of these things all at once? Anyway, I have just had the worst customer service experience with Ulta when they inadvertently overcharged my card. It was super disappointing because I have shopped there so much over the years. But, three calls and I keep being told I'll be refunded but then they keep not refunding me. So frustrating. Speaking of customer service, my local Harris Teeter made a mistake with my Express Lane order this week and they ended up comping my groceries and bringing me flowers. I just love good customer service. If you live near a HT and aren't already ordering your groceries online for pickup, you are seriously missing out. More time for Target when you aren't spending your free minutes inside the grocery store. Madeline turns 8 months old on Monday. How is that even possible? I am loving this age. She is so fun and happy all the time. 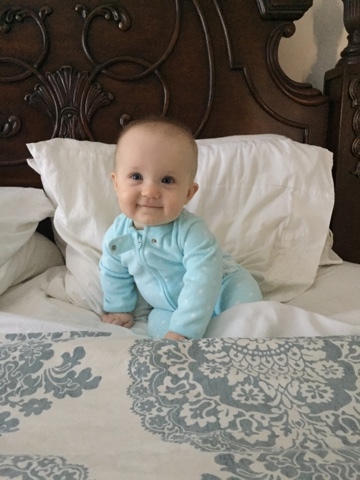 Here, she was just relaxing in her jammies while I made the bed. I just love a baby in snuggly footed pajamas. Riley is finally starting to warm up to Madeline. He has loved her and been protective of her from the beginning but he hasn't really wanted to interact with her until the past week. I guess because she is getting more mobile she is becoming more interesting to him. It just warms my heart seeing them together. One of the things I love most about fall is a delicious pot of chili simmering on the stove, cornbread in the oven, and football on the TV. Add me lounging on the couch in my favorite sweater and leggings and it is pretty much the perfect fall day at home. 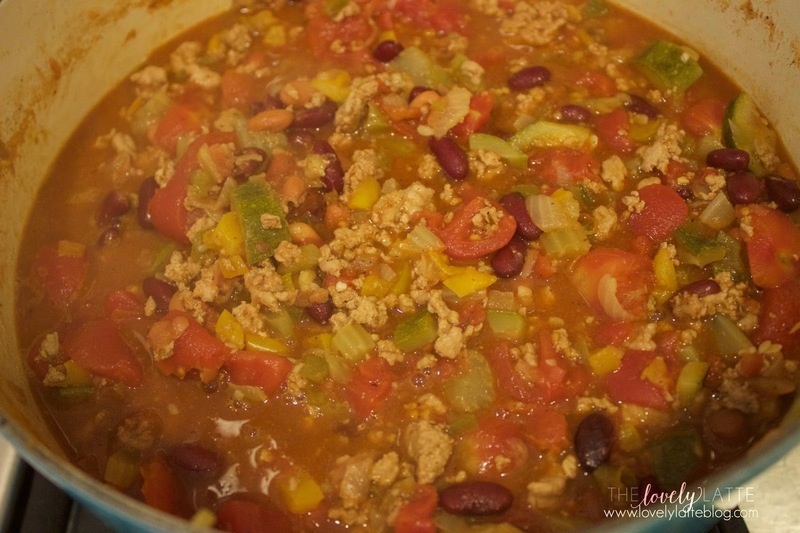 I will be sharing my all-time favorite chili recipe soon but there are times that we prefer a healthier variety. 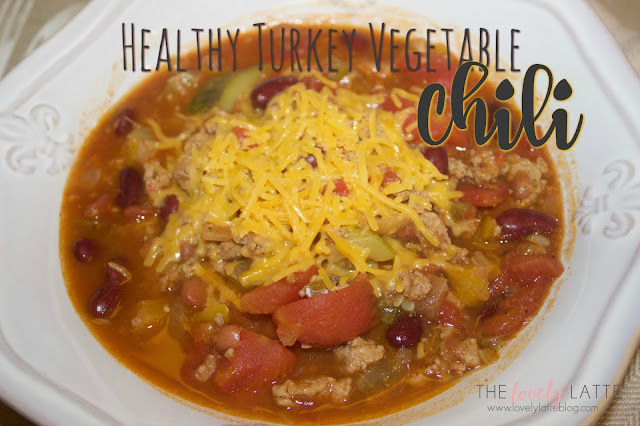 This recipe is my favorite "healthy" chili and you can enjoy it guilt free. We also nix the cornbread when I make this and save that for a Sunday afternoon. Heat olive oil in a large pot or dutch oven. I use my Le Cruset for this and it is the perfect pot for chili cooking. 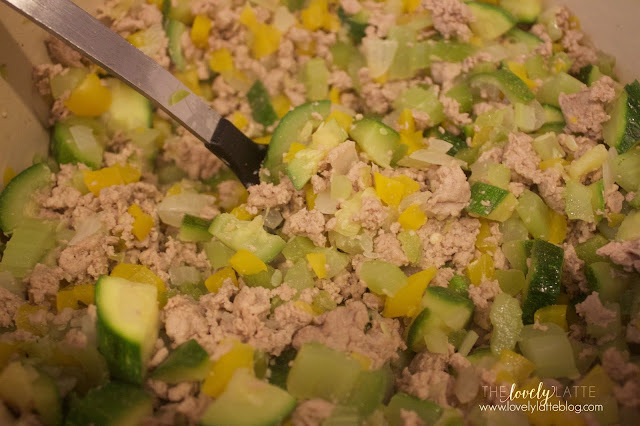 Add onion, garlic, bell pepper, zucchini, and celery. Saute for 3-5 minutes until veggies begin to soften. If they've created a lot of excess water, make sure to drain that and return the veggies to the pot. Add turkey and cook until meat is well browned, about 5-7 minutes. Add the chili powder, cumin, oregano, and cayenne pepper and cook for about two more minutes to let these flavor the meat. Add the beans, diced and stewed tomatoes and bring to a boil. Then, reduce heat and simmer on medium-low heat for an hour and a half or two hours. While this is cooking is a great time to get your workout in, clean up the kitchen, or take your dog for a walk. I am all for multi-tasking these days. You can top with a little cheese, or diced avocado and jalapeño then enjoy a warm bowl of chili guilt-free. Happy Monday, friends. I hope you are all well on this Monday morning. I am needing an extra dose of caffeine already today after a weekend of being cooped up indoors for the most part. Luckily, we are far enough inland that we only experienced rain and some wind with the storm this past weekend. Having lived in Hoboken during Hurricane Sandy, I have seen firsthand the devastation that can come from hurricane flooding so I am sending prayers to all those areas who are experiencing that. On Friday we watched the Clemson game at home for a super low-key evening. Saturday was probably equally low-key. We headed out to lunch at Yafo, a mediterranean restaurant in Charlotte and then did a little shopping. 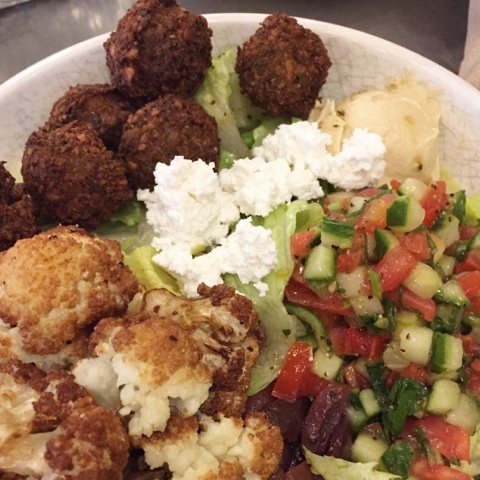 If you are in the area, you should definitely give Yafo a try. A friend recommended it to us as a mediterranean version of Chipotle and it did not disappoint. We mainly went to the mall to walk around since we were getting a little stir crazy with the rain. I needed to pick up a few necessities from Sephora. This girl can't survive once the mascara runs out. I had intentions of stopping by Anthropologie, too, to pick up a couple tops for fall but a certain little lady was ready for a nap. I am currently crushing on this one. My first Chatbook arrived in the mail this weekend. 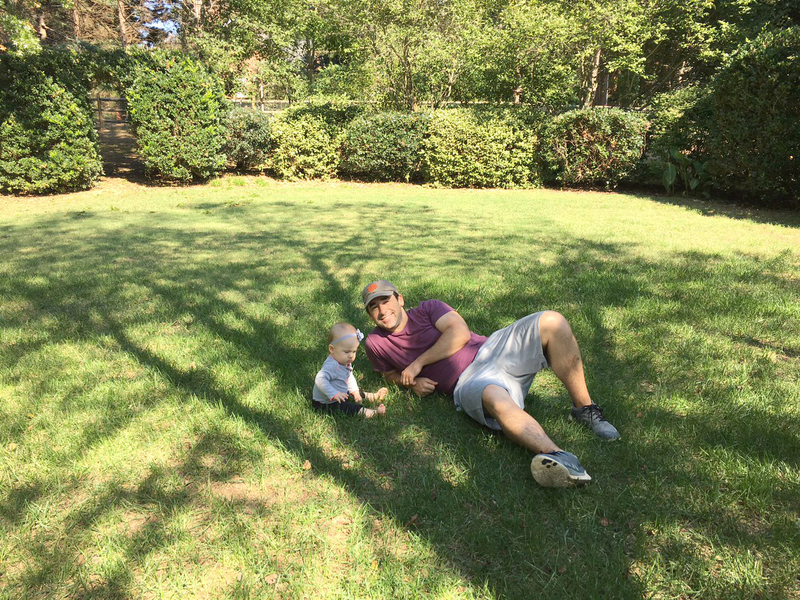 I ordered one of about 100 of the random photos of Madeline's first six months that I had on my phone. You all, I am so loving it. Even with that many photos, it was still super inexpensive and such a great way to share some of the every day, less perfect yet still adorable photos of our days. I'm so happy Madeline will have it to look at when she is older. I plan to do another one at twelve months. I also used a Shutterfly $20 off coupon this weekend to order a photo book of her newborn photos, which I am now realizing I never shared on the blog. We are officially in Madeline photo overload now. We have a somewhat busy week ahead. It amazes me how I ever managed to get anything done while I was also working full-time. 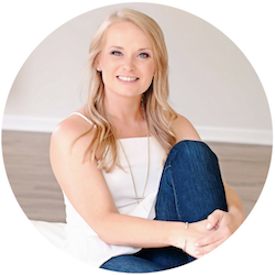 I'm sure all of you mamas can attest to how much your schedule and priorities immediately change after having a little one. 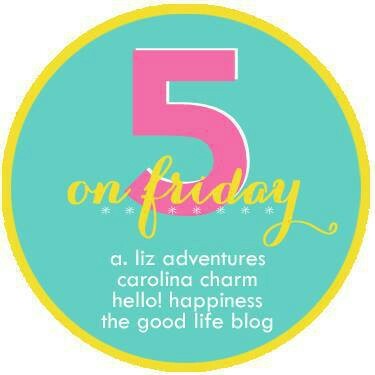 Happy Friday, friends! I hope you all are safe and dry wherever you are, especially you all in Florida and on the coast. I am super happy it is Friday even though we originally had plans to meet up with some friends to watch the Clemson game and all four of our babysitters are busy. 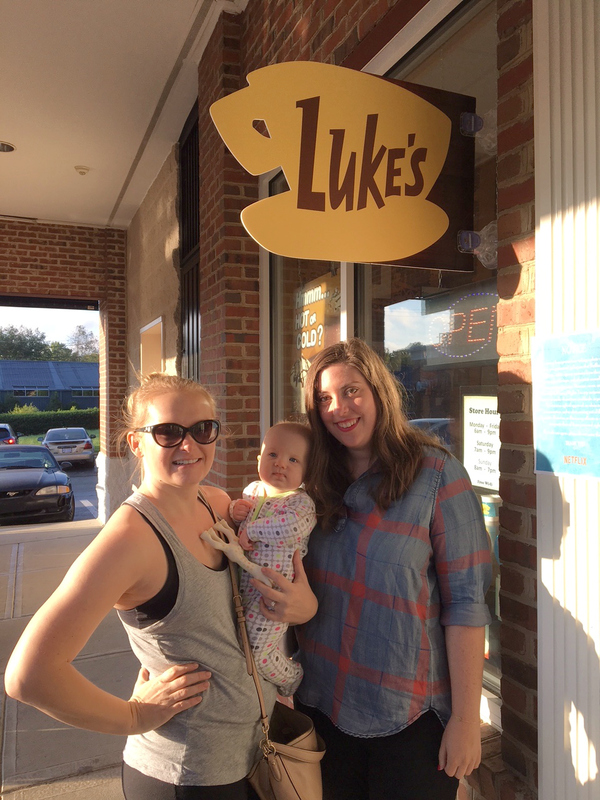 On Wednesday, I fed Madeline when she woke up and then we immediately piled into the car and headed to a local coffee shop for the Gilmore Girls Luke's Diner pop-up. We ran into one of my friends in line just by coincidence and enjoyed a cup of coffee before heading home to nap and workout. Big thanks to Netflix for sponsoring such a fun little event all over the country. Did anyone else make it to their local Luke's? And who is super excited about the Netflix premiere of Gilmore Girls? two. 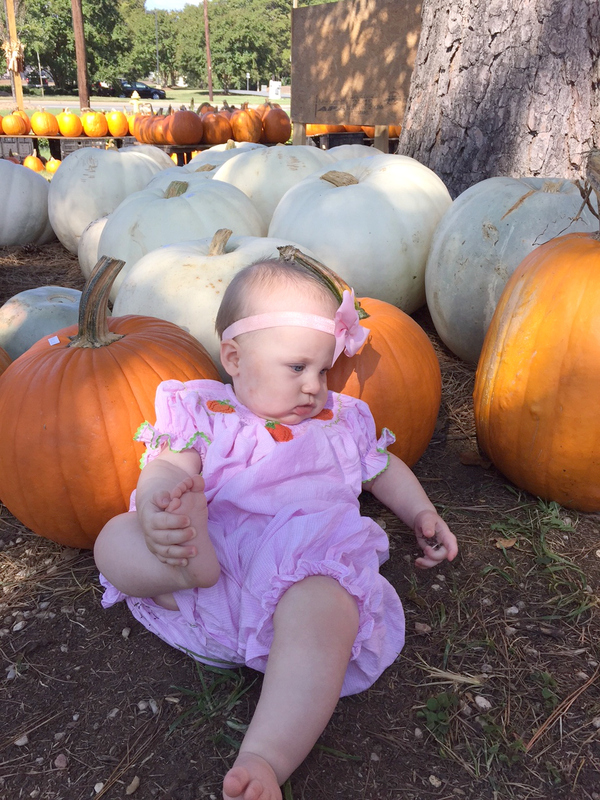 We also took Madeline to the pumpkin patch this week. I had really been looking forward to it and dressed her in an adorable pumpkin smocked bubble. Well, I'm sorry to say this is the best photo we got of the outing. She was very interested in the dirt and pine straw and moderately interested in looking at the pumpkins. I finished my front porch. Just praying I keep these mums alive for a little while. I also went back to At Home (again) and picked up those cute little lanterns. And some throw pillows, a Christmas garland, and a picture frame. Now, I am not allowed to go back to At Home anymore. four. The weather has finally cooled off here in Charlotte. If you have talked to me recently, you may know how concerned I have been about the absence of fall weather. It still isn't quite cold enough for my riding boots to make their seasonal debut but I have been wearing all my favorite closed toe flats and booties like it is my job. Our foyer has sat empty since we moved into our house. We really needed very little furniture even though our house is much bigger. We just rearranged some things. I am in the market, though, for a small foyer table right now so I can begin working on that space. 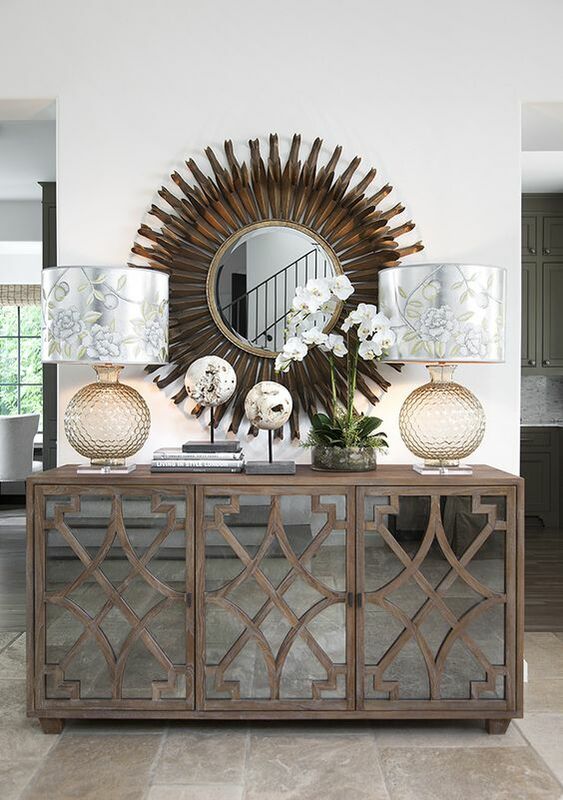 Basically, I'm just ready to get started so I have that area to style for the holidays. Finding the right piece in the right size is proving to be a challenge. Here are some favorite inspirations right now.